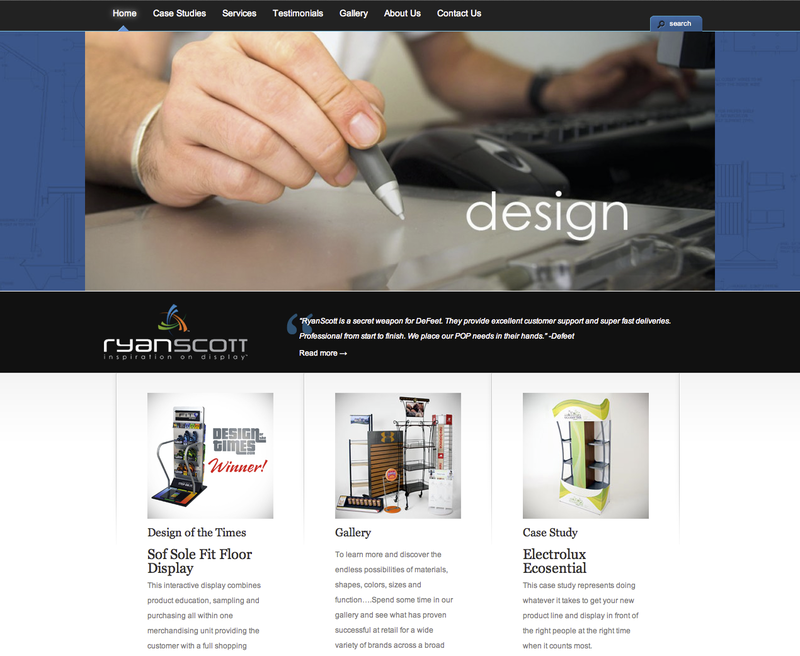 Ryan Scott Displays is comprised of a team of wonderfully talented and creative individuals. 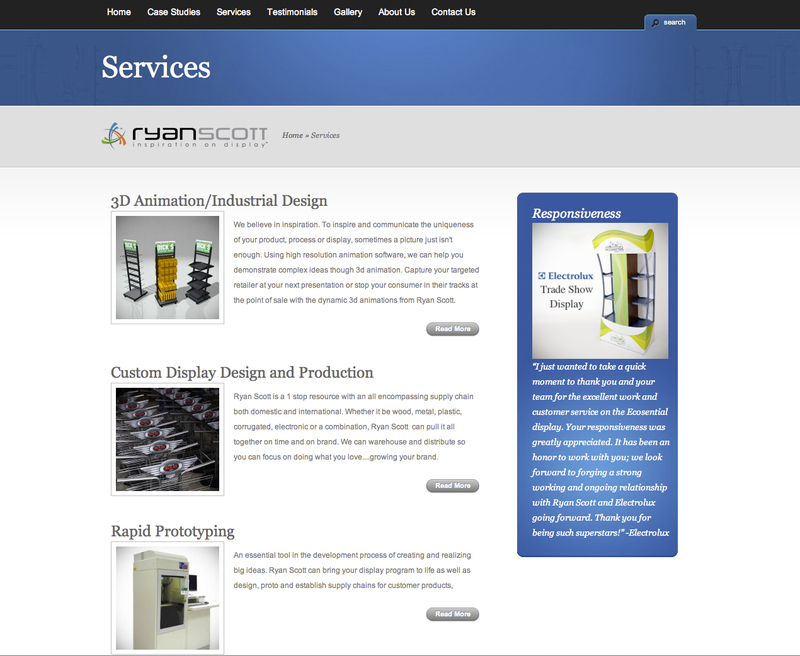 Knowing that this type of client can present some very unique challenges, I was thrilled to find the group open to new ideas, and willing to learn about web usability and social media. 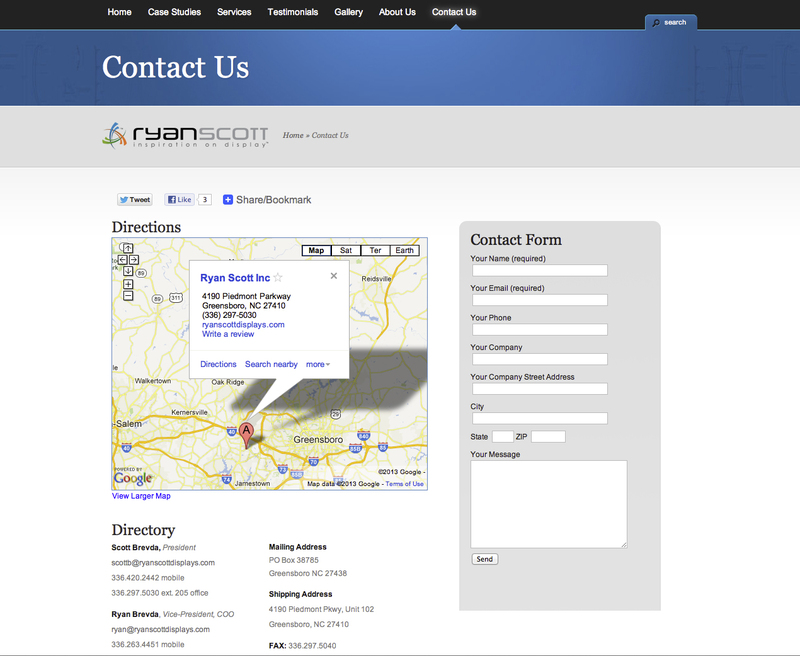 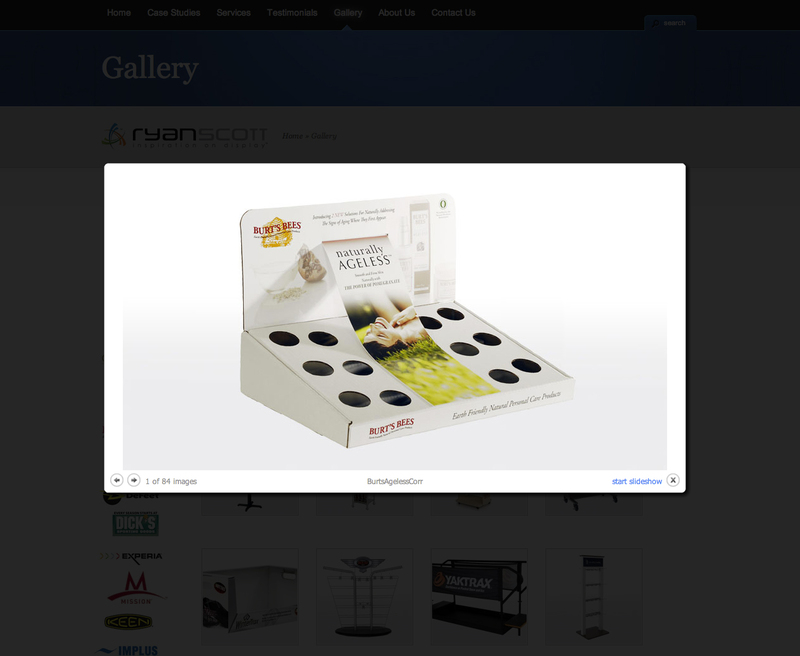 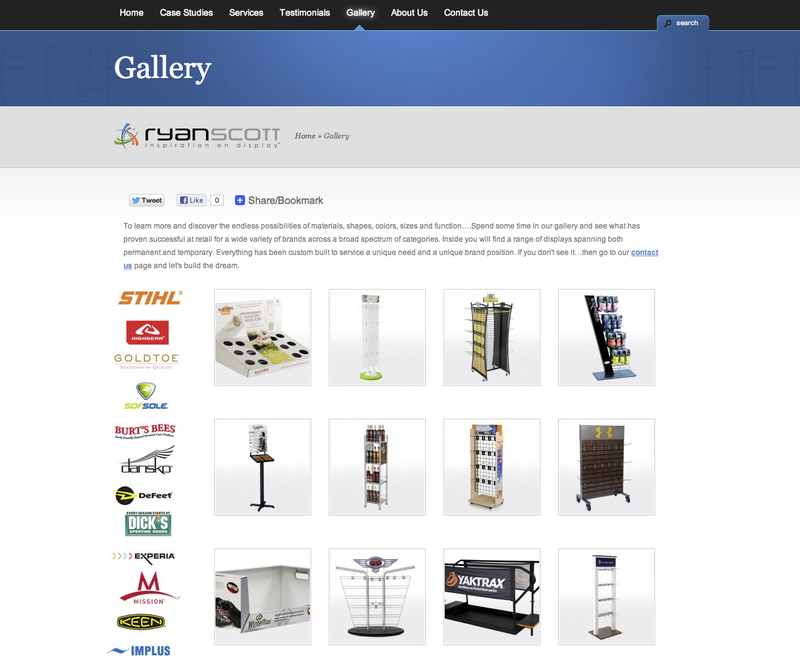 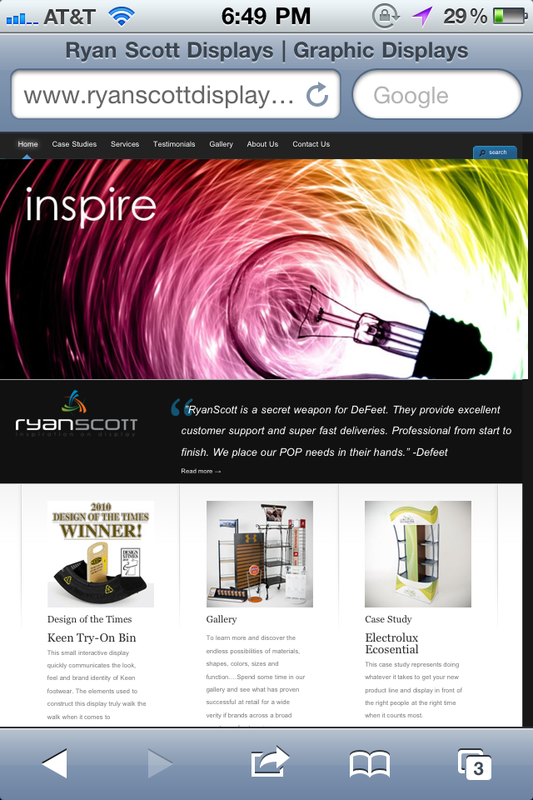 That willingness, in addition to their keen and in-depth knowledge of their market and client base paved the way for a very successful rebuild of their web presence (ryanscottdisplays.com).